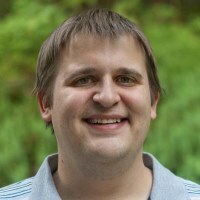 I'm a 30-year old software developer, and a recipient of a Master's degree in Computer Science from Georgia Tech. I enjoy writing software for the Internet, be it web apps, chat protocols, or distributed systems. I'm married to Katie Goodwin. Copyright © 2012-2019 Eric Goodwin.